An outstanding wing forward who at a mere 14 stone also packed down for his Country at tight head. This memorable moment occurred when Stack Stevens had to leave the field with an injury during a tour of South Africa. 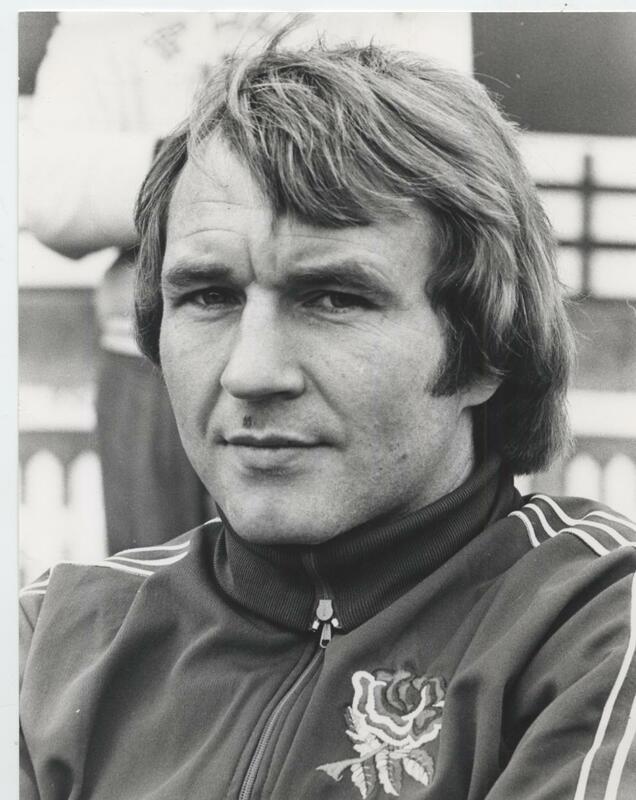 Born 28th November 1946 in Gloucester, John was educated at Linden Secondary Modern School and played for local club Gordon League before moving to Kingsholm. John went on to make 386 1st XV appearances for Gloucester, scoring 104 tries, and appeared in the XV that won the RFU National Cup Competition in 1972 beating Moseley at Twickenham. A seven times England international, Barbarian and member of the Gloucestershire County team that won the championship in 1974, 1975 and 1976. The Heritage site has brought back many memories, not least when I played with John Watkins @ Gordon League in the late 60s before he went to Glos. An inspirational player who always gave 100%. When he and Mike Burton trained with us in their England track suits it gave us all a lift. Thanks John. Probably the most committed and dedicated Rugby player I ever saw. A real “honour” to be on the same field as him, and pleasure to be in his company off the field. Interestingly I only found out the other day that he was relatively late coming to Kingsholm, hence why he never made the 500 club! John is an absolute legend of the game and a true gentleman. I have been lucky enough to play in the same team as John not that many years ago and he was still a class player. I didn’t start playing rugby until my teenage years and if it wasn’t for John, I would never have kept playing. Watkins, one of the most dynamic Elver Eaters ever, has a claim to fame shared by very few. In the space of twelve months he was in a winning England XV against South Africa and New Zealand in their own countries. This website is brilliant. John Watkins was my favourite player as a lad and I think it worth pointing out he captained the 1978 John Player Cup winning side. It’s perhaps worth mentioning that John still loyally serves the game he loves as a referee – the local junior clubs regard themselves as fortunate and honoured to be allocated his services on a Saturday afternoon.